One of the most effective antidotes to fear, whether personal or collective, is to write about it, or better still, to sing about it. Awarded the ‘Premio Demo’ in 2013, Io non ho paura (I am not afraid) is an uplifting song of courage and hope that crystallises Giacomo Sferlazzo’s world view from the standpoint of Lampedusa, the island at Europe’s border with North Africa that finds itself doubling up as a Mediterranean gravestone one summer after the next. Sferlazzo’s lyrics of solidarity and humanist commitment are inextricable from his work with the grassroots Collettivo Askavusa, striving to portray the realities of migration in a broader context – with emphasis on the hidden links between immigration policy and economic and military interests – through the organisation of cultural and political events, short films, and PortoM, a permanent exhibition of migrant belongings lost or left behind in Lampedusa. Following a short summer tour in Holland, France and Switzerland, Giacomo Sferlazzo will perform at the Malta Mediterranean Literature Festival on Thursday 4th September, followed by an interview with Adrian Grima. 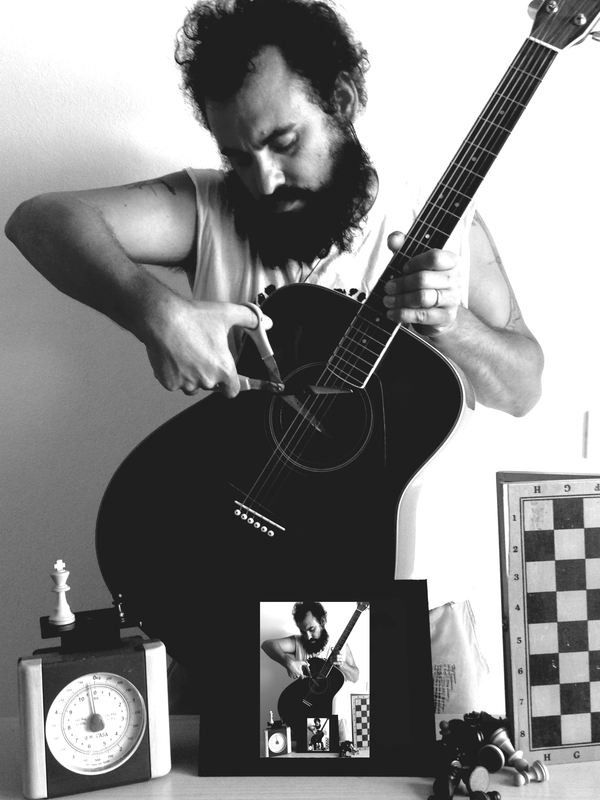 Lampedusan singer, songwriter, artist and activist Giacomo Sferlazzo is the author of four albums, most recently the experimental Nella pancia della balena (In the whale’s belly, 2013), composed with Jacopo Andreini. He has also directed a number of short films and musical videos. Since founding the Askavusa collective in 2009, he is responsible for the artistic and political side of their activities. Giacomo Sferlazzo, performing at the Malta Mediterranean Literature Festival and one of the speakers of the Dialogue in the Med conference. This entry was posted on 16/08/2014 by mondepasrondeditor in activism, events, music, poetry and tagged borders, Giacomo Sferlazzo, Italy, Lampedusa, Malta, migration, refugees.